Following the initial success of the first two days of excavation, as far as artifacts are concerned, there seemed to be very few artifacts found today in the more developed units. 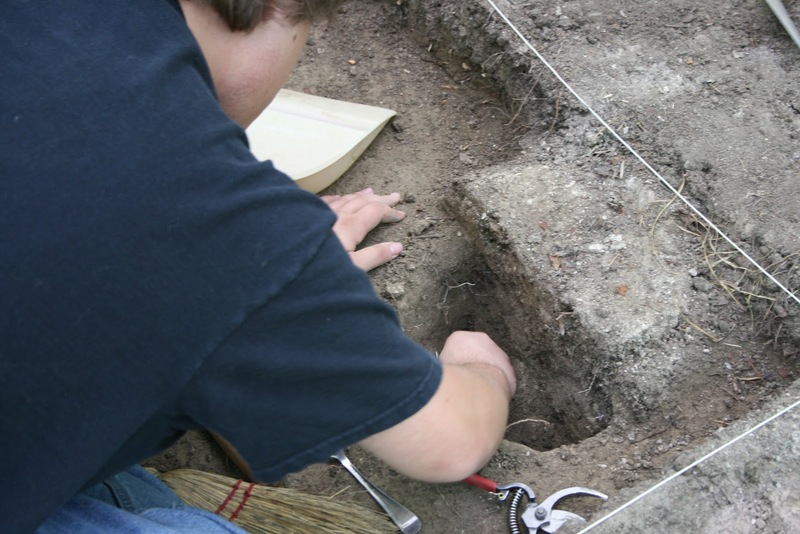 The other units that have been opened up in the Oven section are still too shallow to find many artifacts, but tomorrow should prove fruitful for those units. Most of my progress was made on a feature that was found in my unit. This feature was noticed during the 2010 dig, and had been left undisturbed. The person working this unit noted that there was an outcropping of soft chalk not far from the ground surface, and excavated only the surrounding parts of the unit. I, too, only worked around the outcropping, until today when i was instructed to excavate a cross-section of the formation to expose the north/south profile. 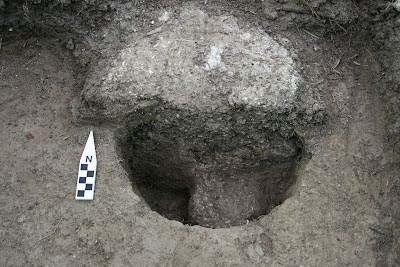 I quickly found that this was a true feature--what appeared to be a post hole for the bake house we were searching for. 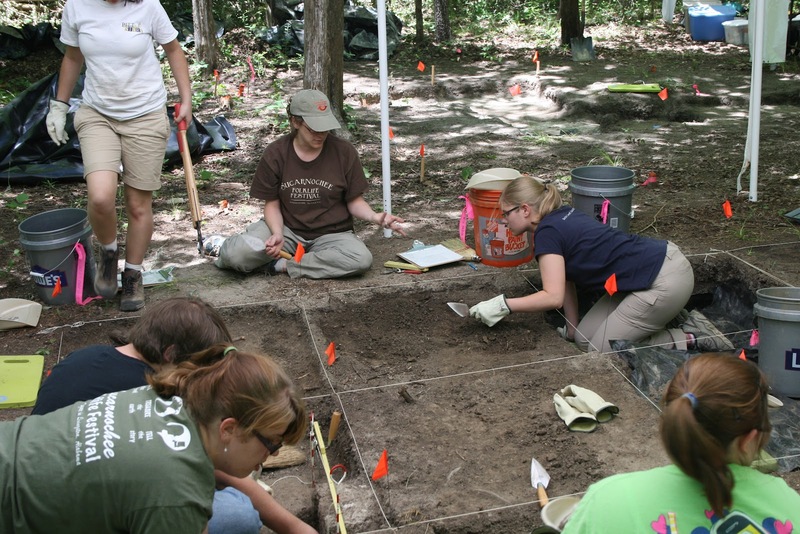 The feature was about 30 centimeters at its deepest, and very distinct from the surrounding soil. I made a drawing of the profile wall itself, and will excavate the rest of the feature tomorrow. the location of this post hole should provide insight into the dimensions of the bake house itself in the coming days.